Maynard “Milt” H. Mildorfer, 88 of Fontana, WI, passed away on November 6, 2018 at Aurora Lakeland Medical Center in Elkhorn. Milt was born on a sunny May 1st day and he came into the world smiling, the only child of Harold and Anna (Schumacher) Mildorfer until he was four and his sister Ruth was born. He attended Bowers School in Lafayette Township. Milt married Sonja Peterson on December 19, 1959 in Troy Center, WI and she was very proud to be his wife. He started out working on the farm, and then got into trucking with his Dad. Milt bought his own trucking business in Walworth; after he sold it he went on and worked for Myers Produce. Milt worked on the receiving dock at the Abbey Resort and helped out at the Harbor House. He was the first Employee of the Year for the Abbey Resort and received a trip to Florida for two while working for the Abbey Resort at mail courier. In his later years, he worked for 30 years on estate auctions with Dale Folkers. During that time in 2008, he had a stroke and spent 53 days in Lakeland Hospital Rehab Center where he relearned to walk. Milt lived at home for six and half years until he got sick and lost the ability to walk again despite all of his health issues Milt never lost his smile or complained. 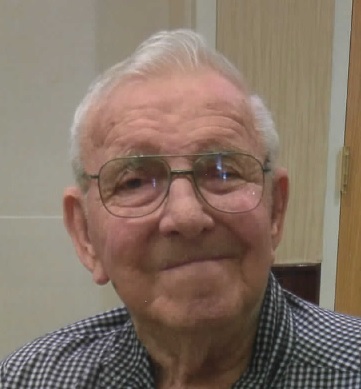 Milt was a member of coffee gatherings for 30 years in Harvard, IL. He loved fishing, watching baseball and camping. Milt is survived by his loving wife of 58 years, Sonja, one son, Joseph (Linda) Mildorfer, granddaughter, Sara, three great-grandchildren, sister, Ruth Pfeiffer, brother-in-law, Alfred Gruling, nieces and nephews. He was preceded in death by his parents and sister, Joanne Gruling. Memorial service will be 11:00AM on Wednesday, November 14, 2018 at Calvary Community Church, N2620 Harris Rd Lake Geneva, WI, with Rev. Chuck Cervenka and Rev. Tim Peek officiating. Visitation will be 10:00AM until service time Wednesday at church. Online guest book at www.haaselockwoodfhs.com. Arrangements for Mildorfer Family handled by Haase-Lockwood & Associates Funeral Homes and Crematory of Elkhorn, WI.